Philadelphia Mom Sexually Assaulted at Park Waverly Apartments; Can Survivor Seek Justice? Did an apartment security failure contribute to the unconscionable sexual assault of a Philadelphia mom? Security measures are in question after a 23-year-old Philadelphia mother was sexually assaulted in her Park Waverly apartment home May 25, 2018. According to NBC 10, police are still searching for the man who “scaled up a second floor balcony and then entered the rear sliding glass door of a unit at the Park Waverly Apartments on the 100 block of East Godfrey Avenue.” Unconscionably, media reports indicate the intruder sexually assaulted the woman while her 4-year-old son slept in the next room. 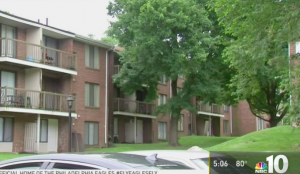 Did negligent security contribute to this Philadelphia apartment sexual assault? We represent individuals and families who have suffered a tragic loss or injury as a consequence of negligent property security. Read Our Legal Take below to find out if the victim may have a legal avenue for justice and claims for substantial compensation in Pennsylvania, or call now for a free consultation with our legal team: 888.842.1616. Apartment residents and guests have a right to feel safe and secure while on the premises. The Murray Law Firm questions the level of security provided on the property and whether this horrific assault may have been prevented. 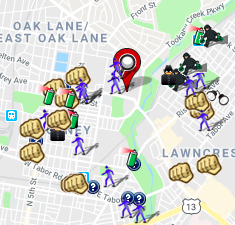 Recent crime reports from Spotcrime.com reveal a number of violent crimes in the surrounding area. Was the apartment complex owner aware of local criminal activity? If so, what additional security measures, such as gated-entry, fencing, bright lighting, surveillance cameras, and security patrols, were implemented to deter crime and protect residents? Generally, property owners are required to protect all those legally on the premises from any foreseeable harm. Should the facts of this matter reveal that the apartment complex owner or management failed to provide adequate security to protect those on its premises, the survivor of this attack may seek justice and elect to pursue legal claims for her injuries and suffering.